While education is always a key ingredient of the annual International BoatBuilders’ Exhibition and Conference, this year’s event features an emphasis on workforce development and training. For the first time, the Marine Industry Training and Education Council’s Conference on Marine Industry Technical Training will be paired with IBEX. In addition, MITEC is sponsoring a track of seminars during the show. The 18th annual IBEX runs Oct. 6-8 at the Miami Beach Convention Center. COMITT will take place as a preconference session Sunday, Oct. 5, from 9 a.m. to 5 p.m. COMITT attendees will have free admittance to the IBEX show floor. “IBEX is really the premiere event for the boatbuilding industry, and MITEC being centered on workforce development issues as they relate to the marine industry, it seemed to us the logical place for us to penetrate the message of MITEC and COMITT,” says MITEC chairman Steve Kitchin, vice president of corporate education and training at the New England Institute of Technology in Warwick, R.I.
Kitchin contends that workforce development is critical in a slow economy. “The reality is that the reprieve that business leaders and employers are having now, because of the slowdown, [is] going to be a temporary reprieve,” he says. “This will not change the demographics of the future workforce; this will not change the advances in technology that are going to occur, that are going to force employers to adapt to those new technologies. “It’s not going to change the very competitive global environment that we’re in,” he adds. “So while it may be easy now to say that my workforce issues are not as high a priority as they were two or three years ago, because I’m not stretched as thin as I was two or three years ago, the reality is that this is a temporary port in the storm.” Manufacturers will continue to develop new products and technologies, and skilled employees will need to keep up with these advances, Kitchin says. Topics for the full-day preconference include retaining good employees, the availability of new workers, team building and the results-to-date of MITEC’s ongoing industry-wide labor needs assessment survey. The MITEC-sponsored track of seminars includes sessions on team building, apprenticeships, training options for yacht designers, work-force development and a variety of other topics. Carl Cramer, publisher of Professional BoatBuilder magazine and IBEX show co-director, agrees that the addition of COMITT to the IBEX lineup is a positive move. In addition to this new component, IBEX will feature some 800 exhibitors and more than 50 seminars. The outdoor demonstration area is back this year. Last year, the show featured about 820 exhibitors, Cramer says. Given the current economic climate, organizers are happy with the exhibitor turnout. 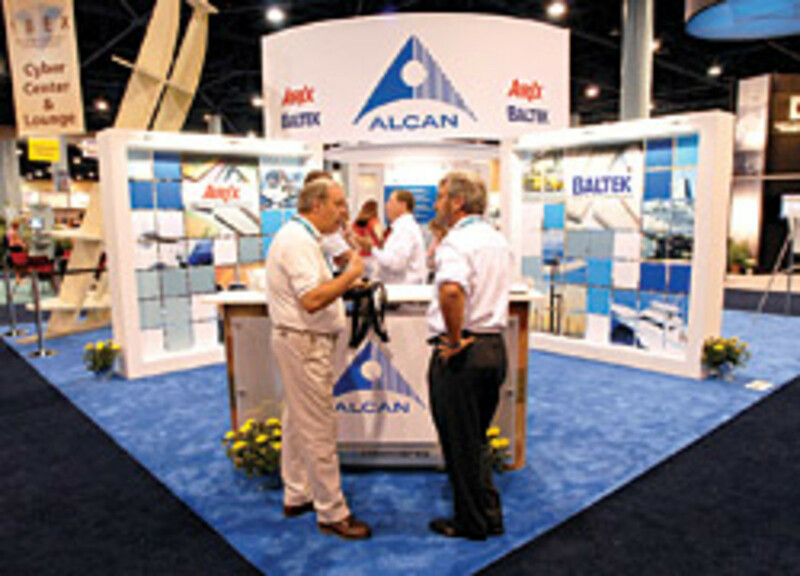 There were 4,570 attendees from 67 countries at the 2007 IBEX show, not including staff from exhibitors. That was up from the 4,509 in 2006. Cramer says the number of attendees for this year’s show is ahead of last year, but it was too early to discuss specific numbers. The IBEX show floor opens at 10 a.m. Monday, with seminars beginning at 8:30 a.m. Exhibitor workshops run from 1-2 p.m. Monday and Tuesday, with outdoor demonstrations going on throughout the show. Additional special events, all taking place Tuesday, include the fifth annual Business of Color Conference, the NMEA 2000 ConnectFest, and The Landing School Alumni Reception. The industry breakfast, which includes the NMMA Hall of Fame, Alan Freedman and IBEX Innovation awards, will be held at 8 a.m. Wednesday. The number of seminars is down slightly, Cramer says, but there are still plenty to choose from. “It certainly will be as good a show as it has been, and hopefully the attendance will be on par with previous years,” Cramer says.